New arrival. I don't typically do gold but this was in such good condition from another WUS member. Vodalex and heimdalg like this. That's a good purchase there! 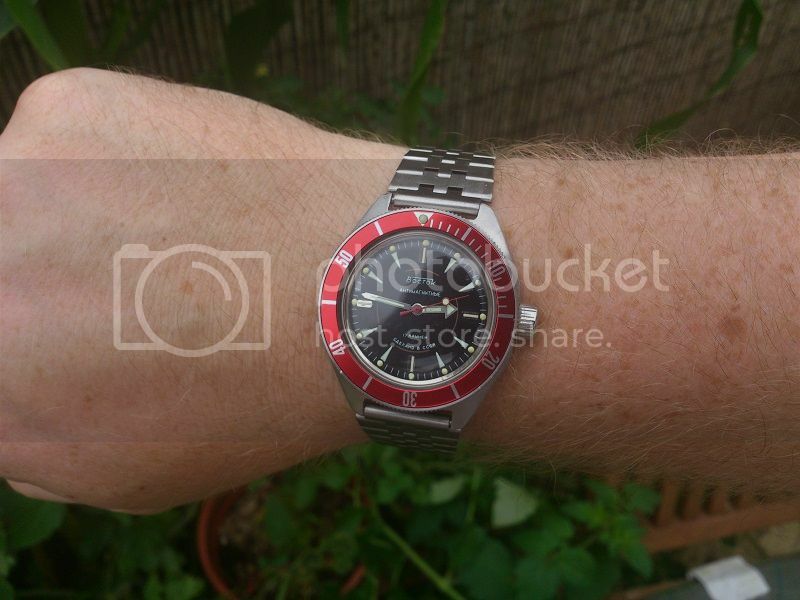 There are a lot of counterfeit dials like that one out there, your dial has the rolled down edges.... I bought one that was a fake very early on. I still have the dial, it's aluminum and flat as a board. Wish I had a good example like that! Good going! heimdalg and JonS1967 like this. REDSWAN13, heimdalg and GenkiSushi like this. Perdendosi, heimdalg and GenkiSushi like this. Hey, is this one for sale or something? It really looks nice and unique!! Yeah, but he added a whopping $300 price tag. I'd think with something so special he'd keep it for himself. Hopefully it finds a good home. RamambaHaruMamburu, jose-CostaRica, Perdendosi and 6 others like this.